Our waterproof kayak and SUP deck bag is constructed from sturdy & easy to wipe clean PVC tarpaulin and seals tight with our easy to use Fold Seal System™. Add to that welded seams and you’ve got a waterproof kayak bag that can handle any rapid! 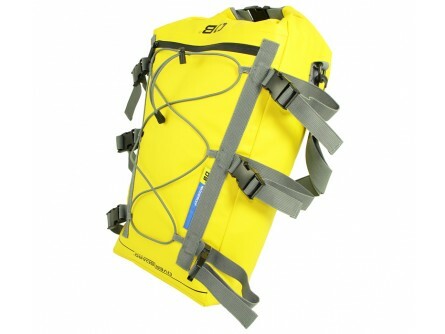 And if you do drop it in the water, this highly visible Yellow kayak bag will neatly float to the top so you can get it back easily. Your communications are fantastic, your delivery is fast and well packaged and your website is easy to use. The sun is shining and I thought that you ought to know that I am one happy customer! !